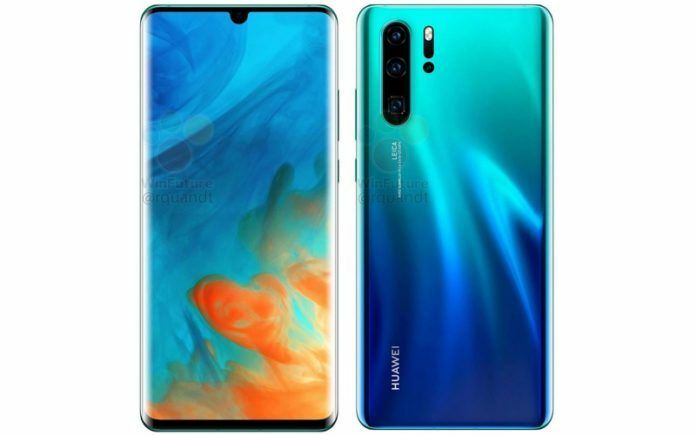 Huawei is all set to launch the much awaited P30 Series of flagship camera phones later this month at an event in Paris, France. 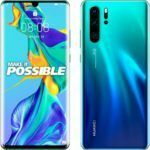 The Huawei P30 and the P30 Pro, as you may be aware, will succeed last year’s Huawei P20 and P20 Pro smartphones. Like the rest of the world, we were also left mighty impressed by the imaging capabilities of the Huawei P20 Pro. Needless to say, we expect that both the P30 and the P30 Pro will come with equally stellar imaging performance. 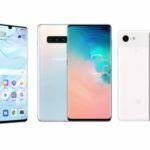 With just a few days left for the launch of the new devices, Huawei has started teasing the capabilities of both the handsets via their social media profiles. In fact, some of the key specifications of both the handsets were also revealed by the company. A few days ago, complete hardware specifications of both these phones were leaked by Winfuture. We also did an article in which the official renders of both the handsets were posted. Let us now take a quick look at what we know thus far about the Huawei P30 and the P30 Pro. Let us start with the P30 Pro which is the more affordable of the two. 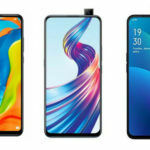 The P30 Pro is likely to feature a large 6.1-inch OLED panel with a resolution of 2340×1080 pixels. The phone is likely to be powered by the Kirin 980 SoC and will be offered in a single version with 6GB of RAM and 128GB of onboard storage. Unlike the dual rear camera setup on last year’s P20, this time around the P30 will get a triple camera system consisting of a 40-megapixel f/1.8 primary camera, a 16-megapixel f/2.2 secondary wide-angle camera, and a third 8-megapixel f/2.4 telephoto camera. At the front, the P30 will get a 32-megapixel fixed focus camera. 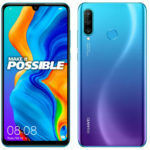 As the norm is, and being a Huawei device, the Huawei P30 runs EMUI 9.1 which as you are aware, is based on Android 9 Pie. Moving on to the P30 Pro, this phone will be slightly larger in size than the P20 Pro and even the Mate 20 Pro. The display on the P30 Pro measures 6.47-inches across and like the P20 Pro is an OLED panel with a resolution of 2340 x 1080 pixels. Like the P30, the Huawei P30 Pro will also use Huawei’s HiSilicon Kirn 980 SoC albeit with more RAM. As far as we are aware, all the variants of the P30 Pro will get 8GB of RAM but will be offered in three storage options, a base 128GB version followed by a 256GB version, and lastly, a top of the line 512GB variant. The camera setup on the Huawei P30 Pro includes a 40-megapixel f/1.6 primary camera with OIS, a 20-megapixel f/2.2 wide-angle camera, and an 8-megapixel f/2.4 telephoto camera. These things apart, the phone also gets a ToF sensor at the rear for depth sensing purposes. At the front, the Huawei P30 Pro gets a 32-megapixel selfie camera. Being larger in size than the P30, the P30 Pro gets a bigger 4,200 mAh battery. The handset also runs EMUI 9.1 atop an Android 9.1 core. The global launch of the Huawei P30 and the P30 Pro is scheduled for March 26, just a week from now. It is still unclear as to when the devices will go on sale globally. We are also at this time unsure about the official launch date for India. When launched, we expect the P30 Pro to be priced at around the INR 55,000 mark. The P30, on the other hand, can be expected to be priced around the INR 40,000 mark. These prices are mere speculation at this point, so please be sure to take them with the traditional pinch of salt.